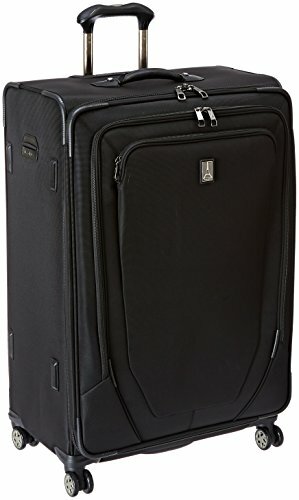 The traveler crew 10 29 inch expandable spinner suite is built for frequent flyers. Traveler's crew 10 incorporates the most advanced technology for spinner and roll aboard luggage. Packed with amazing innovations - magnetron wheels, power scope extension handle, contour grip, customizable interior tie-down straps, durable buckles and shear resistant zipper heads - this crew series is a breakthrough in durability, maneuverability and comfort. Amazingly durable and lightweight, this collection elevates traveler's heritage of design excellence to a new standard. Backed by a lifetime warranty, crew 10 luggage is engineered to last.